Onsite has taken the high road into the FDM 300. 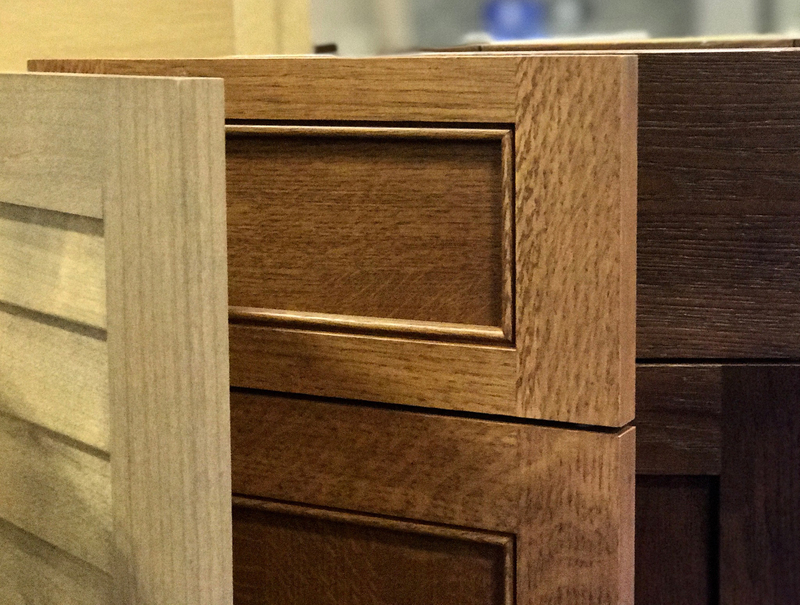 "The more difficult the job, the better," says Ralph Peterson, president of OnSite Woodwork Corp. "We don't do well on the bottom end, because it all goes out as high-end work. Regardless of what you bought, you're going to get the upper grade if it comes from us." 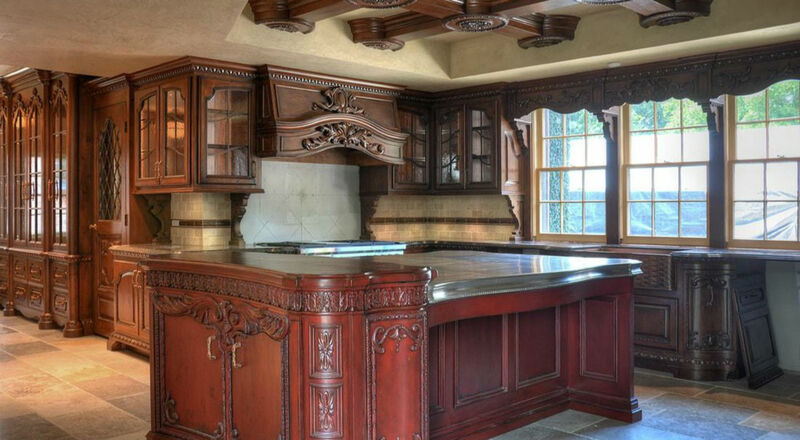 Peterson says that many high-end millwork projects were put on hold after September 2001. Now, companies can't wait any longer, and things have opened up. But there are still challenges, including competition from companies that are pricing work lower than they should. "We decided long ago that if we were going to go out of business, we weren't going to be working hard to do it," Peterson says. Corporate and law offices have been a strong area. Onsite has made everything from furniture for federal courtrooms to components for a dartboard manufacturer. Herb Meldahl, marketing and sales manager, says that value-added work, especially difficult projects for other woodworkers, is growing in importance. This subcontractor role now accounts for about 10 to 15 percent of business. In fact, curved reception desks and curved columns using sequenced book-matched veneer on compound curved panels are a specialty. Peterson says one of the big Onsite differences is that customers are taken from the start to the finish of the project, from drawing and veneer layup to finishing and assembly. "You're treated differently here," he says. "We have expertise not only in the woodwork business, but also in the construction business, which is where the company started. "All clients are looking for the shortest lead times possible, and the highest quality at the lowest price. It doesn't matter whether it's a $10,000 project or a $10 million project, it always seems that it's over budget." Peterson says that customers want a certain wood species, hardware, and look, but they also want to value engineer cost out of the job. "We offer all kinds of options, and some are taken and some aren't. We do value engineering and offer material options on a regular basis. All of Onsite's manufacturing is done in the 45,000 square foot building in Loves Park, Ill., near Rockford. Much of Onsite's business has been building corporate interiors in suburban Atlanta, so 40 people work in a second 18,000 square foot location in Austell, Ga., which has installation, engineering capabilities and a warehouse. A new location in Charlotte serves the Carolinas. Onsite uses four shifts in the plant, allowing continuous manufacturing from Monday morning until Saturday afternoon. "That enables us to turn around work faster than most other manufacturing operations," Peterson says. "We have some overlap in the shifts allowing for passing project information to the next group that will be picking up on any project, during any stage." Peterson believes in keeping current on equipment. "If you haven't purchased equipment for a long time, it's tough to get reinvested," he says. In the Loves Park plant, several things stand out: veneering capability, a new panel saw and the start of a new flatline finishing line. Onsite has more veneer processing capability than other shops of this size. 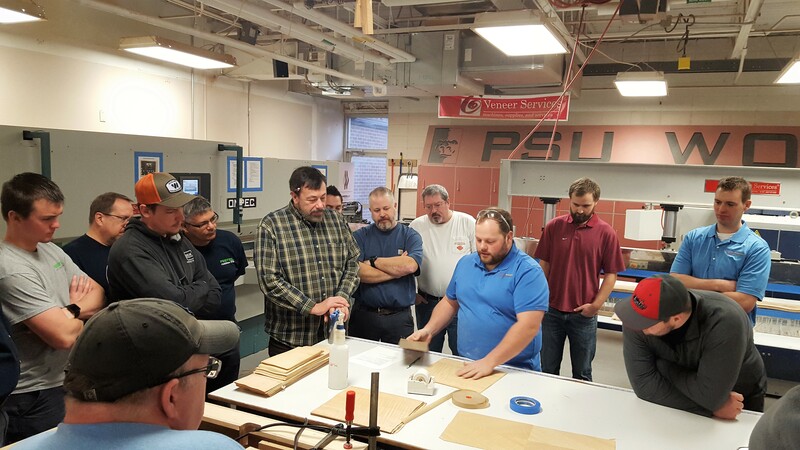 Veneer is an important part of the business, and Peterson says that improving veneer processing is an ongoing effort. OnSite has a Kuper veneer splicer, a 13-foot Savi double-knife clipper, a newer Mongozzi/Fisher and Ruckle 10-foot clipper, a Black Brothers glue spreader press, a large Ott press and a Joos 5 x 10 glue press. A year ago, Onsite added a new Giben 3000 SPT X-Y panel saw with Ardis optimizer. The saw, in service since last October, features an automatic loader, and Peterson says that cutting is as good as it's ever been, and is now faster than before. "For people like us who are basically one-sheet cutters, having a very sophisticated saw with the additional ability to crosscut two pieces of different lengths at the same time instead of one at a time is a huge difference," he says. "The Giben saw has the technology that allows the rear clamps to move, as opposed to being fixed. They move side to side after the rip. There's no problem with holding the parts square." Other cutting and moulding equipment includes a double-end tenoner from Celaschi, a Raimann ProfiRip KM310M gang rip saw from Weinig, and a Weinig Profimat 22N moulder. Also here is an SCMI S52 planer, Powermatic cutoff saw and table saw and a Pistorius miter saw. On the panel processing side, OnSite uses a Biesse Stream edgebander, Biesse Rover 35 machining center, Koch boring and dowel inserter and a Hofer case clamp. Onsite is especially happy with its Hoffman PU2 dovetail machine, which uses bowties for easier assembly, and a Hoffman MU2 dovetail joint. The Hoffman equipment is used for putting together miters for doors and assembly of some stile and rail frames for cabinet fronts. Specialists put together complicated reception desks and other detailed items in a large assembly area. OnSite also has a Heesemann MFA-8 widebelt sander and a Makor finishing line that sands and finishes. A new finishing system was purchased at IWF in 2004 and includes a Venjakob compact spray booth with four guns, 48 in. wide. Onsite is now staining, sealing and topcoating most flat panel and cabinet parts instead of spraying them by hand. This will form the main part of their new finishing line. A new sander, cleaner and coater are planned. "Our problem is we're too big to be small, but we're also too small to be big," Peterson says. "Money isn't the driver. We have to make a decent margin." The millwork business is different than it used to be. Meldahl says that work used to be negotiated, now it's more bid work. Relationships continue to be very important. Onsite has regularly scheduled training for everyone in the company, several hours at a time for small groups of people. "We're as good as our worst person. That's why we spend a tremendous amount of time on training," Peterson says. Relationships with the end customers are important, along with other millwork companies that Onsite may be working with. "They're all customers to us," Peterson says. "They're all our clients." "If it's not worth doing right, it's not worth doing. We want to be that service provider, that partner who is going to enhance what you have."